Spoon licking good! 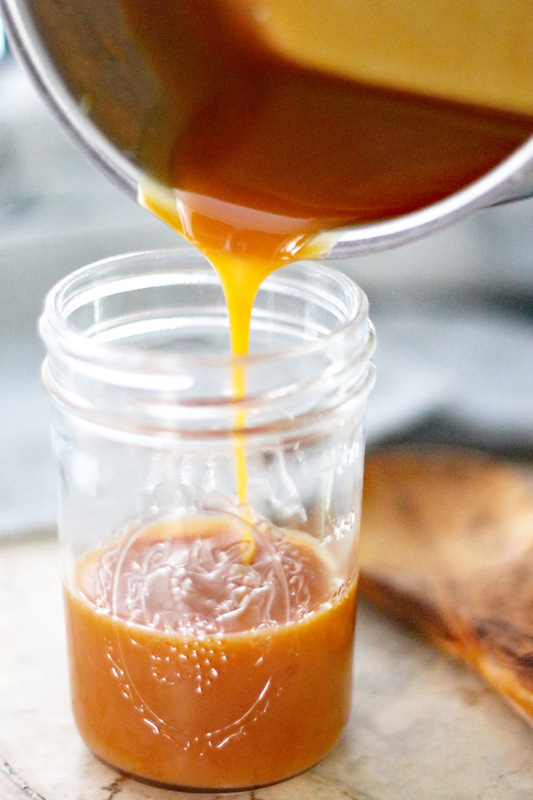 This Caramel Sauce recipe is so simple and easy, you will never buy the ready-made or off the shelf kind ever again. I know I don’t..not anymore! 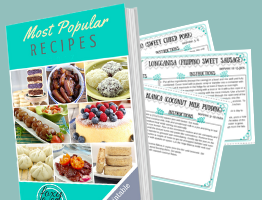 You will only need 4 basic ingredients, that you may already have in your kitchen, and you are all set! The good thing is you know how much sugar is used. 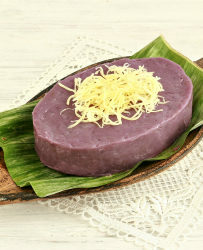 This recipe does not really use much, so it is not too sweet and adding a little salt makes it even less sweet. Double this recipe and you can stock it in your fridge for days or even weeks. 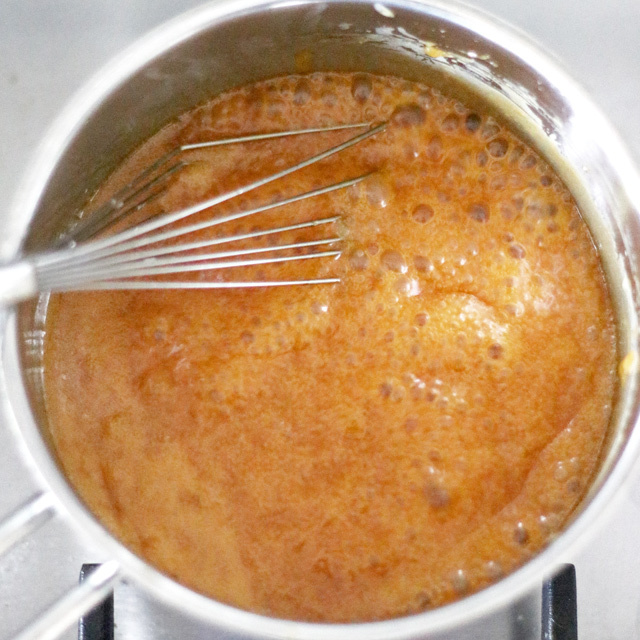 That way you always have caramel sauce on hand to make simple desserts like ice creams, crepes, pies yummier or for making brownies and bars. 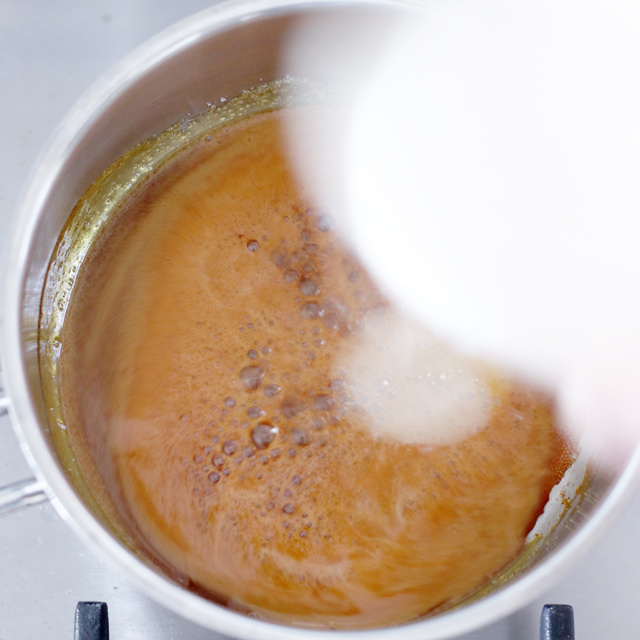 I’ve used this caramel sauce for making my peanut butter & caramel frosting that is perfect for banana cupcakes. 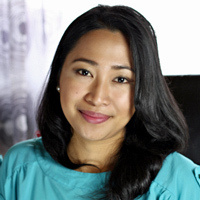 You may also be interested to use this for making my easy banoffee pie and of course my fave, banana crepes with choco-caramel sauce. 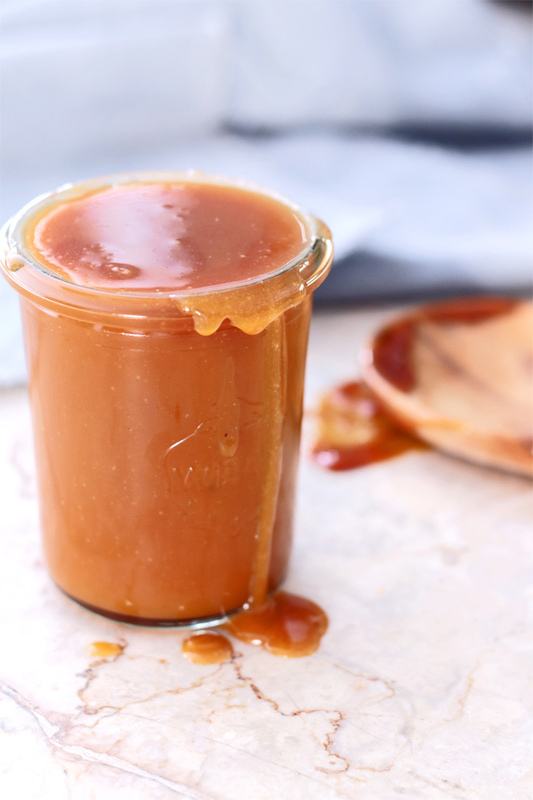 how to make caramel sauce? Heat sugar over medium-high until it melts. 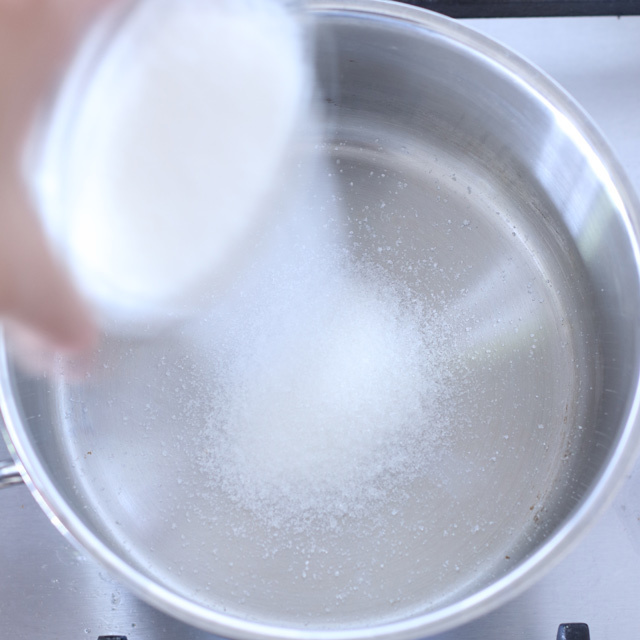 Stir from time to time to avoid sugar from burning. 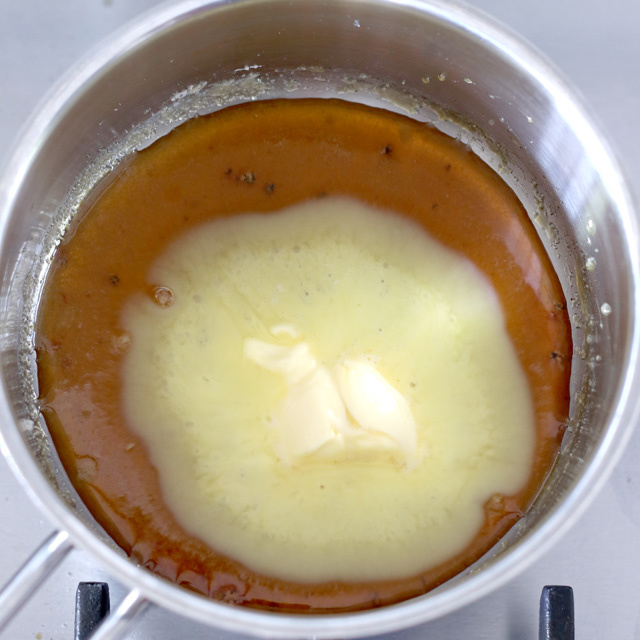 Once sugar is melted and turns deep amber, add the softened butter. 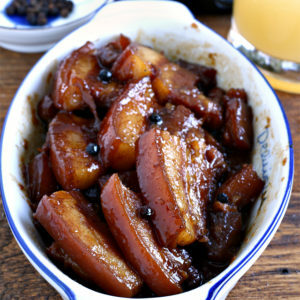 Make sure it is no longer cold or it will harden the caramelized sugar. 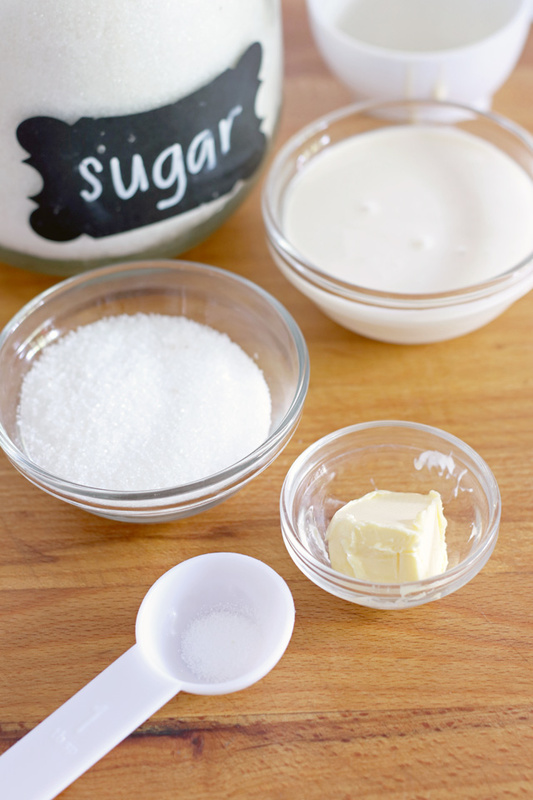 Turn off the heat and pour the heavy or all-purpose cream. 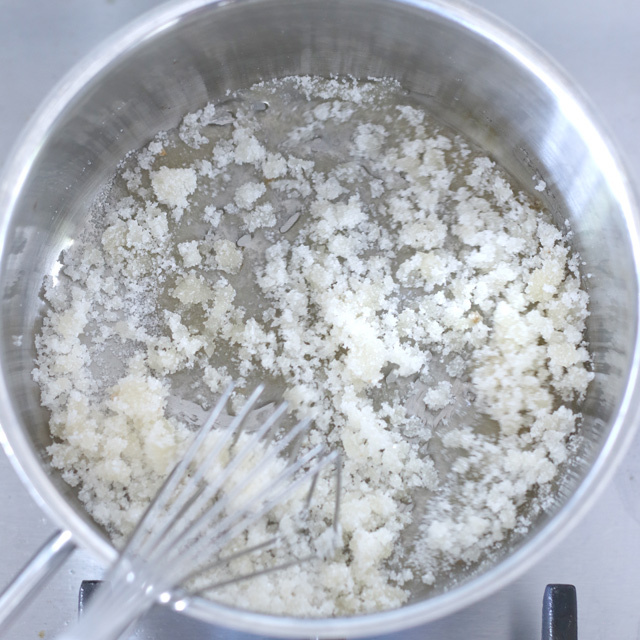 It will bubble up once the cream is added, just continue to whisk until it becomes smooth. Add salt. Spoon licking good! 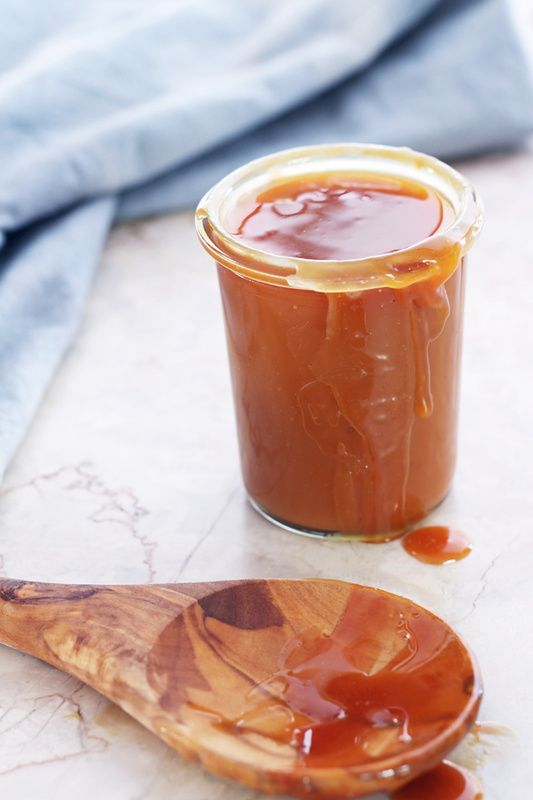 This Caramel Sauce recipe is so simple and easy, you will never buy the ready-made or off the shelf kind ever again. I know I don't..not anymore! In a small saucepan, heat sugar over medium-high heat, while stirring from time to time, until it turns into a deep amber caramelized brown. Turn off the heat and slowly pour the cream. It will bubble a bit once the cream is added. Remove from heat but keep on stirring. Add salt and stir some more. After removing from heat, add 50g chocolate and continuously stir until chocolate is melted and is fully incorporated.